I know, it’s 9/11, never forget and all that. What exactly are we supposed to be remembering 17 years after? What does it even mean? Jews say “never forget” with regard to the holocaust, and they’re probably trying to stop “nazis” from ever getting political power again, whatever being a neon–nazi means nowadays. However, 9/11 was officially done by Muslims. Does it mean we should never forget that Muslims are our enemies, or what? Or we should just remember that traumatic event year after year, but with no closure? What specifically are we not suppose to forget? By the way, watch this documentary about 9/11, it’s the best there is. Now, let’s get back to today’s story. I think I’ve already told you that previously, but if you’re not watching Tucker Carlson’s show on Fox news, well, start doing it. As far as mainstream media pundits go, this guy is from another planet. He is smart and woke af. So, “our guy” Tucker Carlson had the nerve to question the progressive mantra both on Friday and Monday’s show, and I am talking about the “diversity is our strength” palaver. 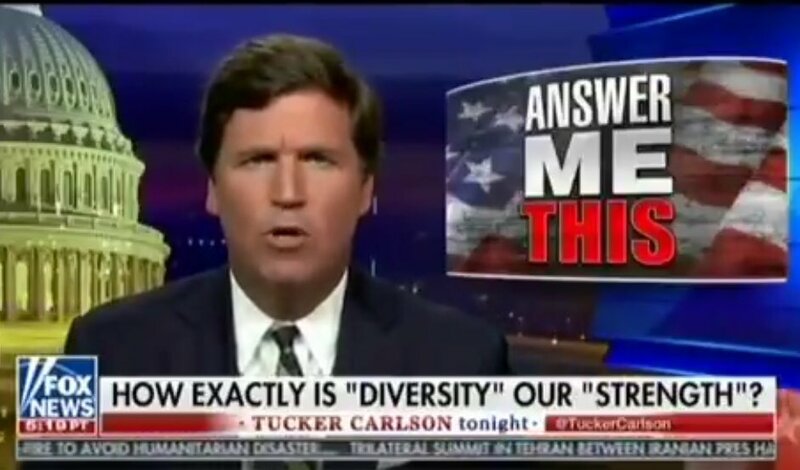 Tucker asked a number of pertinent questions about why and how diversity can be our greatest strength, and he also mentioned the now-forgotten phrase “et pluribus unum”, which means “out of many, one”. How can these two sayings coexist? On one hand, you have a school of thought which claims that the less people have in common, things like culture, race, ethnicity, even language, the more cohesive the society is. That’s diversity in a nutshell for you. An Orwellian concept. Ignorance is strength. War is peace. Slavery is freedom. And so on and so forth. The thing is, America was founded as a melting pot. Basically, we’re all Americans, red white and blue, regardless from where we’ve arrived at some point in time. In the “melting pot” school of thought, which worked admirably for hundreds of years and made America great, if you’re an Eskimo and you choose to come to the US, you also choose to become an American, as in you learn the language, and you adjust to the society you’ve chose to embrace as your new home. You don’t become an American Eskimo. Just an American, Joe Six Pack, who pays his taxes and watches ball games on Sundays, instead of going to church. How, precisely, is diversity our strength? Since you’ve made this our new national motto, please be specific as you explain it. Can you think, for example, of other institutions such as, I don’t know, marriage or military units in which the less people have in common, the more cohesive they are? Do you get along better with your neighbors, your co-workers if you can’t understand each other or share no common values? Please be honest as you answer this question. And if diversity is our strength, why is it okay for the rest of us to surrender one of our central rights, freedom of speech, to just a handful of tech monopolies? And by the way, if your ideas are so obviously true, why does anyone who question them need to be shamed, silenced and fired? If you have the patience to read the WaPo article, you’ll see that they completely failed to answer any of Tucker’s direct questions. 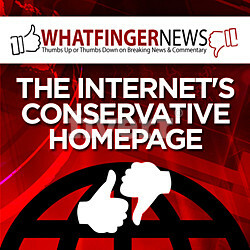 They didn’t even try to address the issues, thoughTucker asked extremely obvious and pertinent questions, which should have been answered a long time ago, before the country got reshaped by world’s largest social engineering program in known history. And I am talking about massive immigration, obviously. The left doesn’t have an answer to why flooding the US with third-worlders is making us stronger, and when they’re asked directly, they retort with “simply asking this question is a sign of racism”, as in an act of hatred towards “brown people”. Obviously, this course of action is not sustainable long term, and it has never meant to be (read about the Cloward Piven strategy). The plan was to silence (via intellectual terrorism, aka political correctness) all critics of mass immigration, while the left was flooding the country, until it was too late for the “natives” to do anything about it. And if not for Trump, who threw a monkey wrench in the gears of mass immigration, they would have gotten away with it.